Point Lobos State Park, California. 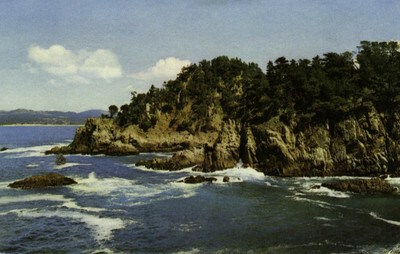 Fascinating and surf-beaten Point Lobos is noted for its jagged rocks, deep gorges and wind twisted cypress trees. One of the most spectacular points along the California coast, it is reached by the scenic coast highway three miles south of Carmel.